New quilter here- just started sewing last year and enjoying it. Lovely prize, thanks for the giveaway. I make anything quilted. Lovely prize!!! I am a quilter, though I'm slowly venturing into the world of pillow covers and bags. Loving everything! Ironically, I love sewing purses and handbags, though I don't carry one myself. I'm a quilter at heart. I started out making clothes and dolls before the quilting bug bit me. I am working on a quilt, but love making stuffed animals and purses! I enjoy making quilts and bags, I can't decide which I enjoy more! I love to make quilts! I make bags and clothes mostly, but I really enjoy variety! I am a quilter! Making clothes scare me! Thanks for the giveaway!! With out a doubt its quilts...and with solids! I would love to make a bag one day! Bags are my thing. I love making things that can stand up. Cushion covers are definitely my favourite thing to sew. I'm definitely a quilter. I do some bags and clothing, but quilting is my passion! I sew a little of everything, but mostly quilts -- thanks for the giveaway! I love to sew anything and every thing. Thank you for the giveaway. I love quilts and bags! Quilts, quilts and more quilts. Yay! Quilting is a love, but I like sewing anything for my grandchildren, even their mending. Thanks for the chance to win. I sew clothes for my little man regularly but I also quilt and make home décor things as well! 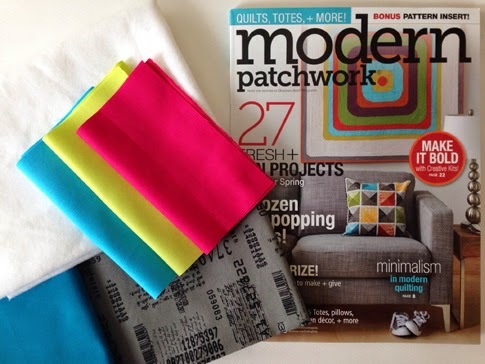 Ive never bought a Modern Patchwork magazine before but I have looked at them before! I make quilts all the time. Woo hoo! This is so cute, Amy! I love seeing that all of my guild mates are getting published in so many different formats! I love sewing quilts, wallets, bags, dresses for my granddaughters.....I just love to sew! Awesome giveaway! I love sewing garments, bags and quilting. They're all my favorite things to do. I'm a quilter, but just sewed my first real bag and loved it! Can't wait to make another. I love paper piece quilting for the sharp points and there are some amazing people who design some pretty fun patterns. Otherwise, I like to sew clothing too, and babies always. I love making zipper pouches. They're so quick and easy. Congrats on being published. What a thrill that must be. Quilts are my favourite thing to sew. I love to sew quilts more than anything. I love different things. At the moment I am handstitching, the new hexagon milefiore quilt. Love to make small things, it is nice when you have a finished item :-) Thanks for the chance. I sew quilts, pouches and am attempting clothing! 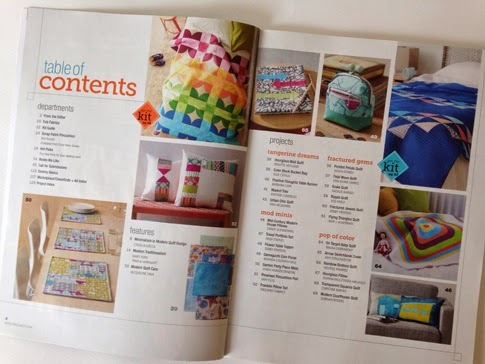 Quilts is number one, but zipper pouches is coming in close these days! My absolute favorite and only thing I sew is quilts! I love quilts and can't make enough of them. Good think I'm slow otherwise I'd drown in finished quilts! My favourite thing to sew is scrap quilts. I love to use lots of different fabrics in each project. I love to sew quilts. I like making small projects, for instant gratification, but I love making quilts, even if they take longer… The final stitch is a day of joy! I love quilting. Some crafts but mostly quilting. Lovely blog and great prize. I follow on Instagram. I love the magazine, and the project. Fingers crossed. Thanks for sharing. I really love quilting - I used to sew more clothes, but I have pretty much abandoned that. Thanks! I like making quilts best! Thanks for the chance to win! My favorite is quilting. I like making pillows,too. Rag Dolls, Quilts, Christmas Ornaments...visit me on Etsy and see! I love making quilts. Thank you for the giveaway. I love making quilts. My smaller projects fluctuate between models kits (Metal Earth), embroidery, cross stitch and quilted wall hangings. I like making quilts and small projects. I'd like to try making bags, but my sewing machine does not really feel the same way. I love making clothes and other small projects. But I am interested in getting into quilting. Thanks for the chance to win. I love making bags and useable things like tea towels and pouches and brooches. I love to quilt, but I frequently get distracted with quick pouches and bags. I enjoy making gifts for people the most - no matter what they are. I make quilts for now. I started making some bags but still enjoy more making quilts! thanks for the chance!! What a great prize! I love to make quilts and bags and soft toys and kitchen items. I can't choose just one as I like a bit of variety. I can tell you that I loathe sewing curtains though! I mostly enjoy sewing clothing for my girls. I like making stuff for babies or young kids. I enjoy quilting but typically stick to smaller baby size quilts and I like making toys or bags for kids. Quilts and quilted items for the home and softies. 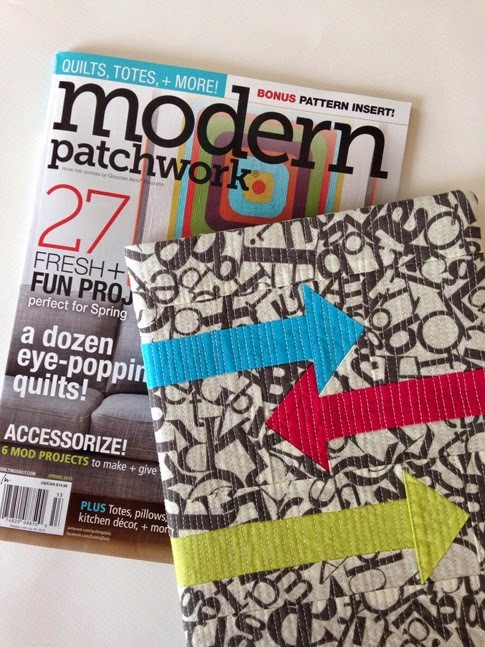 I love Modern Patchwork magazine. Bags and baskets of all sorts are my bag! If it is a vessel I will make it. Several times, probably. Mini quilts and bags are my favourite things to make! I love to sew baby shower gifts for friends. Quilts are my favorite things to make. I like quilting but I've also been making lots of felt play food lately! I like to sew lots of different things, so I'm not sure that I have a favorite! Though I must say that zipper pouches and tote bags are always a nice break from more complicated and time-consuming projects. I love kid skirts. So fast. I love to sew purses but I have started my second quilt and it is definitely fun too! So much fabric...! Many thanks for the lovely giveaway! I'm a quilter. Love designing and pulling together a beautiful quilt! Plus...I've always had a thing for soft snuggly blankets! I love to sew quilts and the occasional purse! I love sewing quilts. They are like a handmade hug. Thanks for the chance to win! I like making quilt blocks. I don't particularly like putting them together into a quilt or quilting that quilt! But I do, just so I have a reason to make the block! I love sewing quilts. I have sewn clothing in the past, even bridesmaids dresses once. My favorite is clothes for my kids but I also sew quilts, bags and am starting to sew clothes for me! I like to sew a bit of everything but mostly dresses for my girls. I began sewing clothes and now I love to sew quilts big and small projects, runners, pouches..! I love quilting and sewing garments! I like making table toppers and wall hangings. I like bags and quilts. I love to make table runners!!! I enjoy sewing tote bags for World of Charity Stitching. I also sew quilt tops and another member finishes the quilt on her long-arm machine. I like sewing quilt tops. Not so much the finishing, but I love making the tops. Making quilts is what I like best but I also enjoy making bags, pouches, and home dec items sometimes. I love to sew anything. Doesn't really matter what I am making as long as I am in my sewing room and creating. Thanks for the giveaway. I like sewing aprons. Thanks for the chance to win this great set. I have the most success making bags but I am starting to quilt and hoping to get into garments. Thanks! I don't have a preference - I like to sew everything! I suppose it depends on how I'm feeling in the moment. I love quilting but I love more to sew by patterns dresses for my girls :) Thanks so much for this great giveaway!! I love to sew most anything but softies and dolls are my favorite. I'm an obsessive quilter but I do enjoy sewing other products as well - bags, fabric baskets & cushions/pillows are fun smaller projects. Thanks for the chance to win. I love quilting! Thanks for the chance! Quilts are my favorite. Little girl dresses after that! 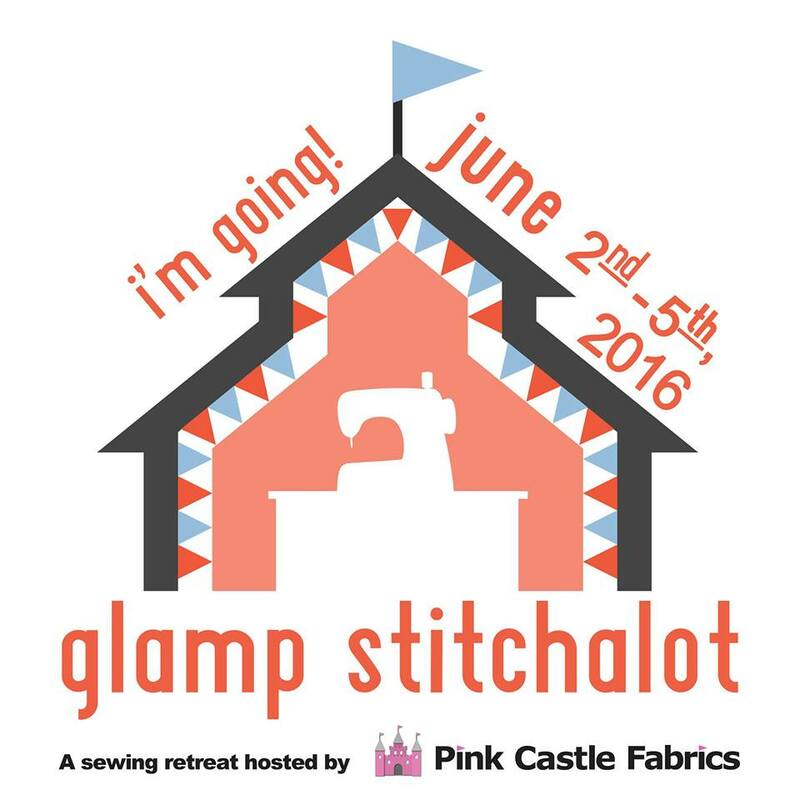 Quilting, bags and garments... ALL OF THEM! Quilts are my current favorite, but I do them all! Table runners and quilts are my favorite to sew. I like to make pillows and bibs the most! I love making things out of english paper piecing. At the moment it's a quilt. I love quilting and making bags. I like making quilts most. I like to sew lap quilts. My favorite is quilts. I've tried a few bags and pouches but have a much harder time with things that are 3-dimensional! Thanks for the giveaway! I love sewing bags and quilts. Thanks! I love to sew quilts. Thanks for the chance to win! I enjoy quilting, especially if it is pieced. You have the neatest giveaway. Really a cool thoughtful idea. Thank you for being a part of the SMS Giveaway Day and giving me the chance to win. I know I will enjoy the magazine as well as your kit. My favorite is quilts of all forms from bed quilts to art quilts. I love to sew many things but my favorite thing to do is learn new techniques. I recently learned to paper piece. I love making quilts - cutting fabric into tiny pieces and sewing it back together again. Thanks for the giveaway. I like to make bags, pillow, clothes. I am planning my first quilt now. Quilting has always been on the to do list, now I am going to make it happen. What an awesome giveaway! I love making quilts and clothes for my daughter. Quilts, most definitely! I could quilt all day and all night, 24-7! I enjoy making mini quilts, table runners and bags for the quick return, and am building up to a full size quilt. What I really love to sew are clothes for children, specially colorful ones. Thank you for the giveaway, I hope you have a great weekend! I love making bags and quilts! I like to sew throw pillows and zipper pouches - quick easy projects!! I love sewing clothes for myself, family and as gifts. 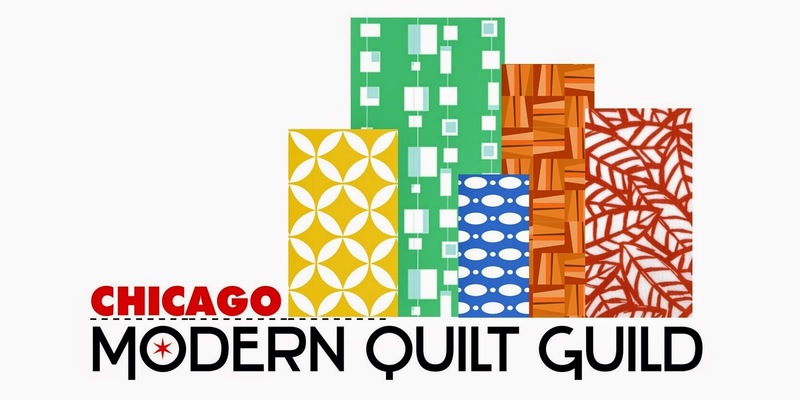 I'm primarily a garment sewer, but I've been wanting to try quilts. I love making quilts for new babies! I love quilting! I find it much more relaxing than other sewing I've done. I am a quilter but recently I have been creating fabric based jewelry. I love the embroidery part of this project. I fluctuate between quilts and dresses, but I think quilts are at the top today. I love that notebook cover. Clever prize! I love to make large quilts. Even baby quilts are large from a nice throw size 50 by 70 inches to a twin size quilt so they can grow with it. I like my quilts to get a lot of use. Thanks for the great giveaway. I love making bags of all sizes. I love to make clothes - including shirts for my boys and husband! I also love to sew bags and some smaller quilts! thank you! My favorite s are wall hangings but I also like to make zip bags. I love sewing quilts. I have sewn a few bags, but quilts are my favorite. powersjlc (at) gmail (dot) com . Thanks for the chance. I'm happy to try anything, but I do love to quilt and make smaller items such as totes, pouches and cushion covers. I love both quilting (paper piecing is my favorite lately) and garment sewing! I love quilting & little crafty items - bags & squishy toys & such. I like to sew bags, and I'm just learning to quilt. I am following you via Bloglovin (dawn743). Have a great weekend. I love quilts but am starting to venture into three dimensional sewing! Clothes and quilts / blankets.